Of our Lives, Our Freedom, Our Laws, Our Parliament, Our Borders, Our Jobs, Our Kids, Our Country. The Declaration of Rights 1688. A contract in Law. 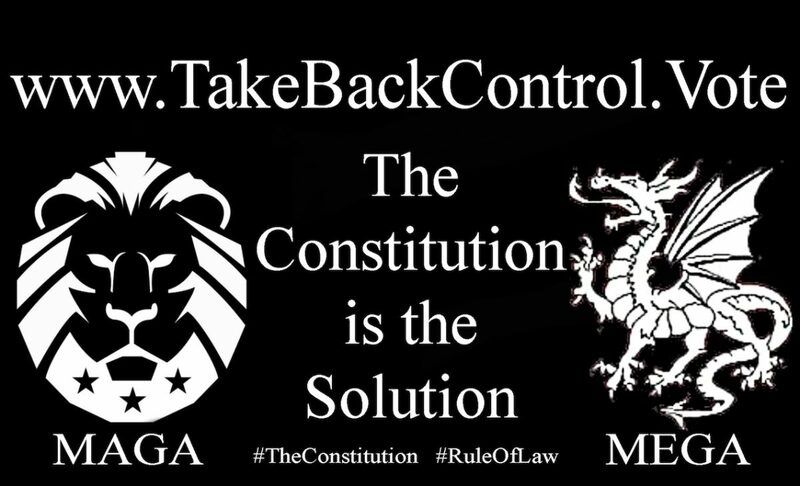 About the Movement, The Constitution is the will of the people! Dates for Petitioning the Queen: The Bill of Rights 1688. The Movement and any supported Political Parties should stand for the Constitution. Peacefully take back our Country (candidate – resides) England, Scotland, Wales, NI via the Ballot Box, Press the Reset Button. Honour our Oath set out below. Deploy nonpoliticians in constituencies that agree with our constitution. Once ALL of our objectives and commitments are complete ensure that all FOUR Nations have full autonomy under their own Parliaments and a solemn bond of nationhood, freedom, and liberty is created in the spirit of Peace, Brotherhood and in perpetuity, as per the Magna Carta 1215, the Declaration of Rights and the Bill of Rights 1688/9. Secondary Objectives – Re-establish the foundation of the English Constitution. Vote in Parliament – Authorise an expedient inquiry into perjury of oath by those previously elected and those not elected but have sworn oaths, purpose to prosecute Treason. Vote in parliament – Outlaw treasonous organisations and any affiliated groups. Begin the proceedings of Treason against the English Constitution, by those identified at SO1. The third objective – implement what we were sworn by oath and elected to do. A referendum on the abolition of a Central Bank and implementation of the Currency and Notes Act 1914 (AKA the Bradbury Pound). Deploy Direct Democracy to allow subjects to propose policies and to have those policies implemented. Local campaigns, candidates are chosen locally and must have a reasonable knowledge of our constitutional rights so that they will never allow those rights to be infringed by any proposed statute. 1. It would be better for England if our politicians weren’t career politicians with no business skills, no job creation skills, no life experience. It would be better if those who stand for election had work and life experience of those you seek to represent. The primary goal of any politicians should be the interests of the People, not a party, not self-interest. We should adopt a system where politicians get paid not by salary but on results and the quality of life of the people improve. If they fail us, we don’t pay them the bonuses. Let’s see how many would step up to the plate, things would soon change for the better. All MPs and Lords should pass a test on UK constitutional law. If they fail they cannot be selected. 2. England must NEVER be split into regions, ever. 3. Proportional representation, preferably MMP (Mixed Member Proportional). • It is the fairest system in the world, you win by votes, not by area. • Value and Wealth are distinct from each other. Value is our sweat, blood, and tears. It is a fair society for all, infrastructure, industry, education, health system (NHS), care for the elderly, care for disabled, care for veterans. Bradbury pound. I have called it Public Sector Pound (PSP). It has nothing to do with the outside world, it is English money for those who live and work in England. The Currency and Banknotes Act 1914. 5. A tax system that works and is proven to work that is proportional and progressive to a max of 17% or optional flat rate. Simplified English tax system, whereas our current system, is 11500 pages and rising. This system is NOT taken at source but donated. 6. The bill of rights 1688/9 must be honoured as well as the other 14 constitutional treaties and Common Law for the UK and a completely independent English Parliament. We need the constitutional laws which were and are agreed upon, maintained and respected. The protection of children; abuse of children must be the “ultimate crime”. An allegiance to England no matter what a person colour, religion, atheism or sexuality. Politics cannot be part of any religion and religion can play no part in politics. Justice cannot be part of any religion and must be struck out. War and violence must not be encouraged by “any” religion. No religion may subvert or attempt to subvert human rights, women’s rights, children’s rights and animal rights. No form of political correctness should subvert free speech or our constitution. No form of political or religious subversion may take place in educational establishments (pre, infants, primary, secondary, college, training or University). I am not lying to you! Nor were these MPs. Watch! What gives the People hope? Common Law, No Loss, No Harm, No Injury. Why? Because Common Law made this Country and it’s People FREE, it gave us FREEDOM from oppression, FREEDOM to discover and invent. Freedom of thought is a God given right! God gave us (human beings) a conscience for a reason. This is your time to take back control. Without bloodshed. We will not draw first blood but will act to save our Nation, in self defence. Take Back Control Blog at WordPress.com.